Valerie Wetlaufer is a birth doula, teacher, and poet. Born and raised in Iowa, Valerie has since lived in Vermont, Paris, Florida, and Utah. She currently resides in Salt Lake City. 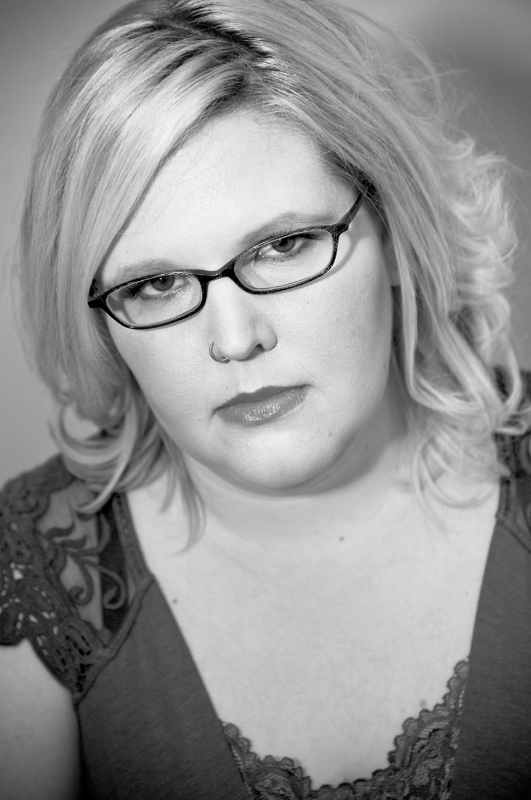 Valerie holds a PhD in Literature and Creative Writing from the University of Utah. She is a Poetry Editor of Quarterly West, editor of Adrienne, a quarterly journal of lesbian poetry, and author of the forthcoming book Mysterous Acts by My People (Sibling Rivalry Press, 2014). In 2010, she was a Lambda Literary Foundation Emerging Writers Retreat Fellow. Valerie holds an MFA in Creative Writing from Florida State University, an MA in Teaching & a BA in French from Bennington College. I’m teaching a literature class this semester, and I deliberately planned our poetry unit so that it fell in April. We’ll be reading a lot of poems, learning rules of meter and other prosodic elements, and making use of all the free poem-a-day resources so many publishers and organizations make available during National Poetry Month. I’m working on revising my dissertation, Call Me by My Other Name, a book of poems about queer women in the 19th century, working on final edits on my forthcoming book Mysterious Acts by My People, which will be published in March 2014, and drafting poems for my third book, Insubordinate Bodies, which mostly deals with poems on disability. You’ve been busy with your PhD in Literature and Creative Writing! How has the program informed your work? Why did you decide to pursue the PhD? I have been very busy with my program the last four years, and I’m very excited to graduate in May! I’ve been lucky to work with some truly talented professors and colleagues, and my work has evolved quite a bit, grown more lyrical, less narrative, more formally experimental. A PhD is definitely not the place to go to get time to write–unlike an MFA–because of the focus on coursework and exams and dissertating, but it has been an excellent time to deepen my knowledge of poetry as a genre, historical periods–I fell in love with medieval poetry, for example, and 18th century women’s writing–and a chance to connect with colleagues who are always what inspires me most. I wanted to pursue a PhD because I love school, and it’s something I’ve always wanted, and it better equips me to be a professor. I’ve loved my experience in Utah’s program, but a PhD definitely isn’t for everyone. Tell us about your role at Quarterly West. What have you learned about the publication process? I love working at Quarterly West, and I’m sad to leave when I graduate in May. I’m thrilled to announce, however, that I will be the editor of a new quarterly journal of queer women’s poetry called Adrienne, published by Sibling Rivalry Press. Our first issue will be published in January 2014, and we’ll soon open for submissions for our first issue. I’ve worked at several other literary journals, but the chance to be a poetry editor at Quarterly West allowed me to see how a journal works, get a chance to publish some of my favorite poets and help transition the journal from print to an online presence, which allowed us to start publishing fabulous new media works. I have a great deal more respect even than I had before for editors, because I know now how difficult a job it is. We get such fantastic submissions, we just can’t publish them all. The quality of our slush pile is very high. It’s difficult to make those decisions, and it makes me feel a lot better when my work is rejected, because I have an understanding of how much good work is out there. It’s also made me realize how easy it is to achieve gender equity in publishing, and thus I have zero sympathy for editors who scoff at the VIDA count and the notion of how difficult it is to publish quality writing by women. There’s absolutely no excuse for the inequalities we see in publishing these days, and we don’t even get nearly as many submissions as I’m sure Harper’s does, for example.